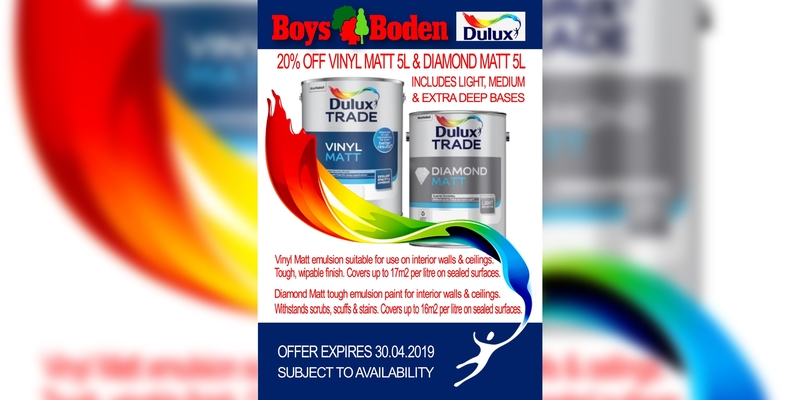 A special offer is available on select lines from Dulux at Boys & Boden. The most trusted name in paints, Dulux products produce some of the highest quality finishes available. 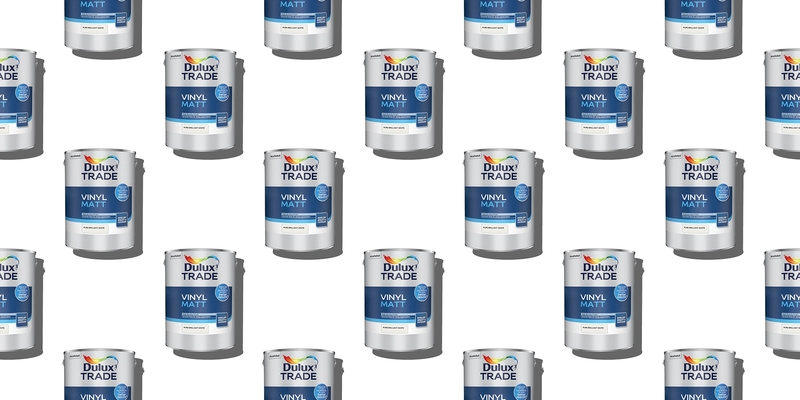 Right now, Dulux Vinyl Matt 5L and Diamond Matt 5L paints are down 20% in price. This includes light, medium and extra deep bases. Dulux Vinyl Matt emulsion is suitable for interior walls and ceilings, providing a durable and wipable finish. Dulux Diamond Matt is anothe tough emulsion paint for interiors and has been specially made to withstand scrubs, scuffs and stains. If you are planning any decorating you may want to act fast as this offer expires on April 30, 2019, only while stocks last. For more on the great deals available, visit your nearest branch of Boys & Boden in Chester, Shrewsbury, Newtown, Welshpool or Llandrindod Wells. Each branch can be found on our handy branch locator map.